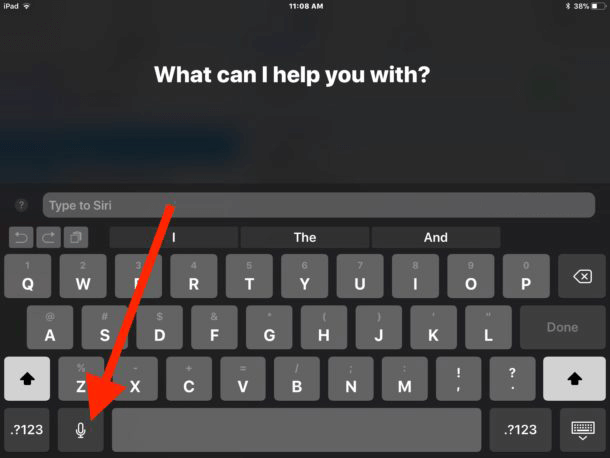 Type to Siri on iOS gives you an opportunity to interact with the mobile helper by texting commands on an Apple mobile device. This can be done via the onscreen keyboard or an external device. In fact, type to Siri is just one of methods of contacting her. You simple type your commands instead of telling them, and Siri will respond as usually. I assume type to Siri a very useful feature on iPhones and iPads for many reasons. You may like typing more than talking, or you can't talk loudly for some reason, or maybe you just like the idea of written communication with your virtual assistant. Everybody has his own reasons and there can be millions of them. Anyway, this feature can be handy and comfortable, it sounds good. So, I'm going to tell you hot to enable the Type to Siri feature on your iPhone or iPad. Since now, you'll have a chance to talk to the Apple assistant via any comfortable keyboard. 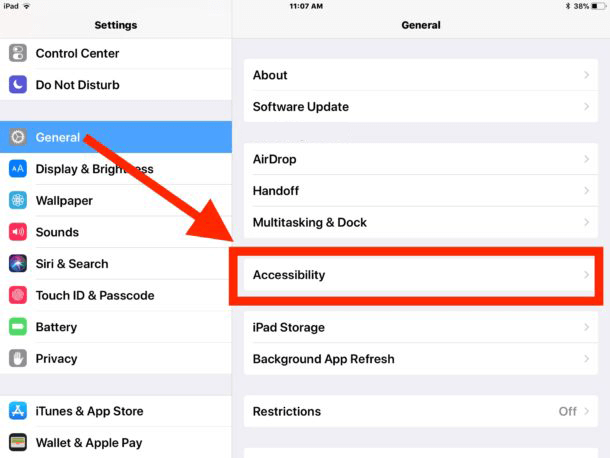 Enabling this feature is the same for all iOS devices, whether you use an iPhone or iPad. The only condition is having one of the latest iOS. It's good if you use iOS 11 and later, as every system from that one has such a feature. Go to the 'Settings' application in iOS. Visit 'General' and select the 'Accessibility' option. 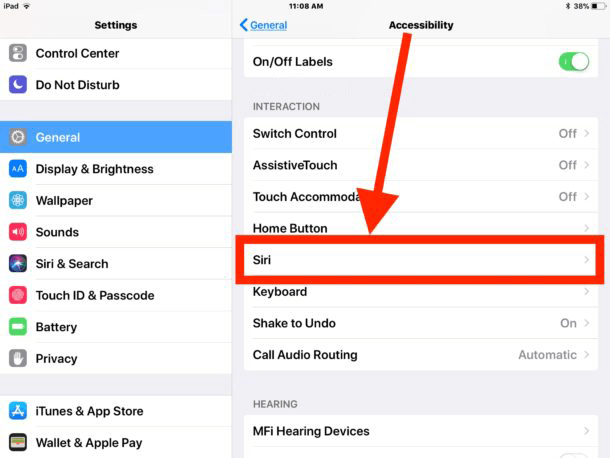 Choose 'Siri' from the list of accessibility settings. Search for 'Type to Siri', remove the toggle to the 'ON' position. Summon your virtual assistant as usually, type in a command. It may be something like 'What is the weather in New York' or 'remind me to defrost meat at 4 PM'. You have to access the Siri assistant just as you usually do that. The main difference is that you type in the commend instead of speaking it loudly. Remember that Siri will speak her feedback to you, even if you use the Type to Siri feature, so you will listen to her answers anyway. All the usual Siri commands will work in the Type to Siri feature, as it understands everything just like if it was said in voice. This also includes funny commands to Siri as well. However, useful commands will be much more practical. Surely, you may think that using Type to Siri on iPad is more comfortb;e than on an iPhone, as people often use an external Bluetooth keyboards with their iPads. It can be often used with Apple's smart keyboard. What's more, it has a larger screen that is more convenient to type on. For me, typing on my iPhone is not a problem in any case and it is the same comfortable. By the way, if you have liked this feature and want to continue to use it on Mac, you can do it. The main condition is having one of the latest MacOS versions. It requires Sierra 10.13 or later. In earlier version, this option is not supported, while the virtual assistant itself is present in that systems. Visit the 'Apple' menu and go to 'System Preferences'. Navigate to 'Accessibility' and scroll down the left menu until you find 'Siri', select it. Make sure the box near the 'Enable Type to Siri' line is checked, as it turns on the feature. 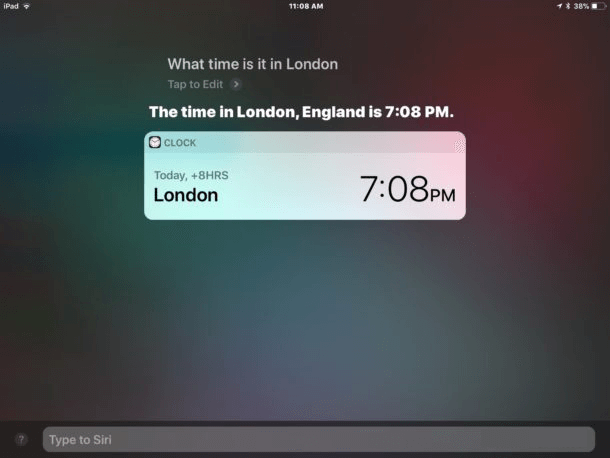 Now, you can interact with Siri by texting as well as speaking to her. She will react to your commands as usually. Using the Type To Siri feature on your Mac is what you would expect. Activate your virtual assistant as you usually do, with an icon in the Dock, with an icon in the top right corner or a keyboard shortcut. It will launch as always. But, instead of telling her your commands, type them. Can I still an ordinary voice Siri while the Type to Siri feature is enabled in iOS? Yes, surely you can. However, there are some things to be done for that. 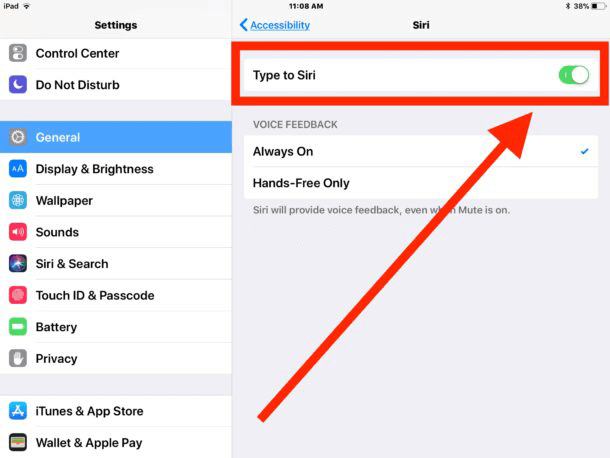 In case the 'Type to Siri' option is turned on, but you want to tell Siri a voice command, launch it as usually, press the Mic button on your keyboard. It turns on the Dictation feature in iOS. After that, speak your command to Siri and tap the 'Return' key. That's all. Simple, isn't it? You can save your type and type short commands. For instance, Siri will understand the 'weather New York' command as well as the 'What is the weather in New York' one. You may hold the 'Escape' key on a keyboard, it will be the same to holding down the 'Home' key for launching Siri. Holding both 'Command' and 'H' may work for that as well. If you have liked this feature in iOS, turn it on for your Mac too! I hope this article will make your communication with Siri more effective and useful. Share your own tips in the comments, if you have some, I'll be glad to discuss them!